Do I Need a Website for My YouTube Channel? Love this article? Make sure your friends and coworkers don't miss out! As you navigate your web hosting account, you may come across some unfamiliar terminology. 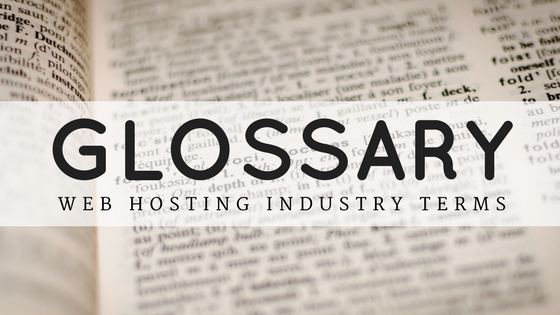 Reference our glossary of common industry terms to help you manage your websites. Account Control Center (ACC) – The Account Control Center is our custom-built control software. While other hosts license third-party software, we built our own. It gives you access to to the settings and details of your account with an easy-to-use, web-based, control panel. Apache Web Server – The Apache HTTP Server, known as Apache, is a free and open-source cross-platform web server software. Under the Apache License 2.0, Apache is developed and maintained by an open community of web developers. Content Delivery Network (CDN) – The CDN serves internet content like text, graphics, and streaming media through a distributed network of proxy servers and their data centers. It distributes service geographically relative to end-users to provide high availability and high performance. Cloud Hosting – Cloud hosting is the latest form of hosting and adopts a “divide and rule” concept. With cloud hosting, resources are spread across more than one server and used based on need. Because it doesn’t rely on one server, cloud hosting allows for more flexibility and scalability. Content Management System (CMS) – A CMS allows you to build a website without having to code or learn any of the technical aspects. Content management systems support the creation and web-based publication of digital content, usually in a collaborative environment. WordPress, Joomla, and Drupal are popular examples of CMS. Colocation – Or co-location describes when a web host sells space in its datacenter, allowing you to operate your own hardware on a web host’s high quality network and power infrastructure, and allowing you to take advantage of a data center’s physical security. cPanel – First released in 1996, cPanel is an online Linux-based control panel. Similar to our custom-built control center (the ACC), cPanel provides a graphical interface and tools to manage your hosted sites. cURL – cURL allows users to transfer data from server to server by providing a library and command line tool. Data Center – A data center houses networked computer systems and other components needed to maintain them. A data center facility also usually has some kind of backup protocol in place such as redundant data communications connections. Data centers process, store, and organize huge amounts of data so many people and businesses rely on them to function in modern society. Dedicated Servers – A dedicated server is a type of hosting service where only one client uses an entire server. With other web hosting plans, several clients share the resources of one server. A dedicated server’s resources are accessible to only one client, which allows for more customization and better performance and security. Drupal – A popular CMS, Drupal is an open-source platform for building and managing web content. It provides the backend framework so you can create a website, blog, phorum, or other web content. FreeBSD – A free and open-source Unix-like operating system descended from Research Unix via the Berkeley Software Distribution (BSD). FreeBSD has various uses and maintains a complete operating system. Geeklog – Geeklog is another open-source CMS designed for managing web content. Geeklog markets itself as one of the most secure CMS options. 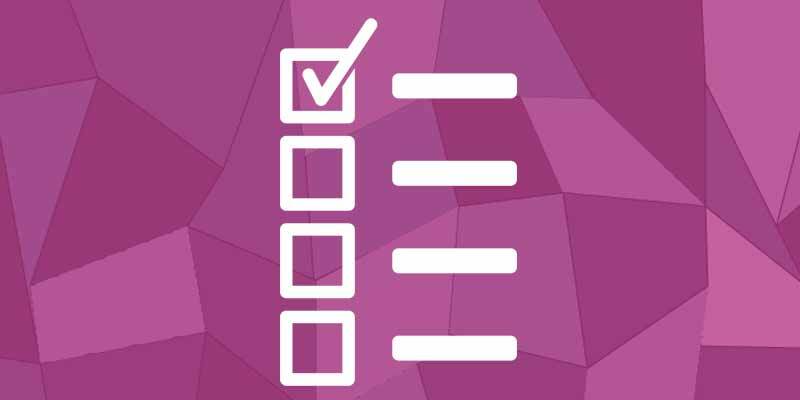 Some features include comments, polls, calendar, and content syndication. GetSimple CMS – GetSimple CMS is a free web content management system. It’s designed with one primary goal in mind, to be simple and easy to use. You can use it to build websites, blogs, and more. IP Address – An Internet Protocol (IP) address is the number assigned to each device connected to a computer network. Your device’s IP address allows it to communicate with other devices over IP-based networks like the internet. Joomla – Another popular CMS, you can use Joomla to publish web content. This free and open-source CMS is built on a model-view-controller web application framework. You can use the framework independently of the CMS. Kernel – The kernel is a computer program at the core of a computer’s operating system. It controls everything in the system such as input/output requests from software, translating requests into data-processing instructions, and peripherals like keyboards. Linux Hosting – Linux is a free and open-source software operating system (OS) built around the Linux kernel. Linux hosting means your web host supports the Linux OS, the most popular OS used for web hosting. Managed Hosting – Managed hosting describes the type of support provided by your web host. An unmanaged hosting plan is cheaper because your provider won’t deliver routine support. With a managed hosting plan, your host will provide support for everything related to software, hardware, and networks. It’s a little more expensive than unmanaged hosting, but it’s also a lot less work for you. MediaWiki – MediaWiki is a free open-source wiki package written in PHP. Originally for use on Wikipedia, it runs on many sites such as Wikipedia and Wiktionary. MySQL – MySQL is an open-source relational database management system. MySQL is named for My, the daughter of the software’s co-founder Michael Widenius, and Structured Query Language (SQL). You can use MySQL to modify information in the database. It’s often found on web servers and used for web-based applications and publishing. Perl – Perl is a family of high-level, dynamic programming languages including Perl 5 and Perl 6. It’s used for a variety of things such as developing CGI scripts. Phorum – Phorum is an open-source message board system written in PHP. “Phorum” is a portmanteau of PHP and forum. It’s used to create website threads for hosting discussions online. PHP – PHP originally stood for Personal Home Page, but has become a recursive backronym for PHP: Hypertext Preprocessor. It’s a server-side scripting language designed for web development. PHP is also used for general-purpose programming language and may be embedded into HTML code. It’s commonly used in combination with various web template systems and CMS’s like Phorum, Geeklog, and WordPress. phpBB – phpBB, an abbreviation for PHP Bulletin Board, is an open-source internet forum package in PHP scripting language. This bulletin board software is highly customizable so you can use it to communicate and collaborate however you want. Piwigo – Piwigo is a photo gallery software designed for the internet. You can customize this software with various free extensions and features. PostgreSQL – PostgreSQL is a powerful database that emphasizes extensibility and compliance standards. More specifically, it’s an object-relational database management system (ORDBMS). It functions primarily to store data securely and return data when requested from other software applications. Python – Python is a popular programming language used for general-purpose programming. It’s designed to emphasize readability by incorporating more whitespace and a syntax that requires fewer lines of code. Ruby on Rails – Rails is a server-side web application framework written in Ruby, an object-oriented programming language. You can use this model-view-controller framework to provide default structures for a database, a web service, and web pages. ShadowDrive™ – At pair Networks, our QS dedicated hosting packages come with a ShadowDrive™ backup. It’s a dedicated, server-specific feature that supplies a backup of QS servers twice a day. Shared Hosting – Shared hosting is a type of web hosting service where multiple clients are hosted on one physical server. The clients share the resources of the server, which makes this type of hosting less expensive than others. SQL Server – SQL Server could refer to any database that uses structured query language (SQL). It could also be a relational database management system developed by Microsoft. Microsoft SQL Server functions primarily to store and retrieve data requested by other software applications. SSH – Secure Shell (SSH) is a cryptographic network protocol that allows you to create a secure channel over an unsecured network. It’s commonly used in a client-server architecture for remote login to computer systems users. SSL Certificate – Secure Socket Layer (SSL) certificates help prevent hackers from stealing private information on your site. Indicated by the little green lock icon in the address bar, a site with an SSL cert is more secure. Ubuntu – Ubuntu is an open-source operating system for computers. It’s usually run on personal computers and is popular on network servers. URL – URL stands for Uniform Resource Locator and is also known as a web address. It references a web resource, its location on a computer network, and a mechanism for retrieving it. Virtual Private Servers (VPS) – A virtual private server or VPS is a type of hosting account. With a VPS account, clients split the resources of a server so that each client has their own dedicated space. Unlike a shared hosting account, VPS clients don’t share the resources even though they’re hosted on the same server. Web Hosting – A web hosting service allows users to post a website or page on the internet. A web hosting provider is a business like pair Networks that offers the hardware, software, and network needed for your website to be available on the internet. Websites are hosted on web servers. Web Server – A web server is required to host a website. It’s a computer system that processes requests via HTTP, which is used to distribute information on the internet. Windows Hosting – Microsoft Windows or just Windows is a group of several operating system families. Windows hosting means your web host supports the Microsoft Windows OS. WP Hosting – WordPress or WP hosting is a type of web hosting service designed specifically for WordPress users. 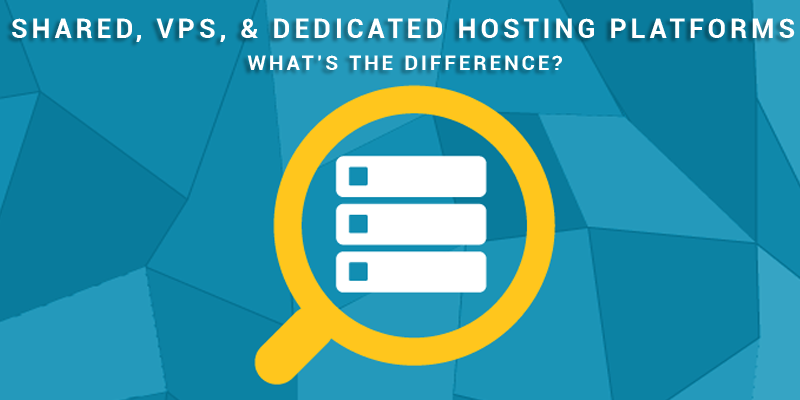 Shared, VPS, & Dedicated Hosting Platforms – What’s the Difference? 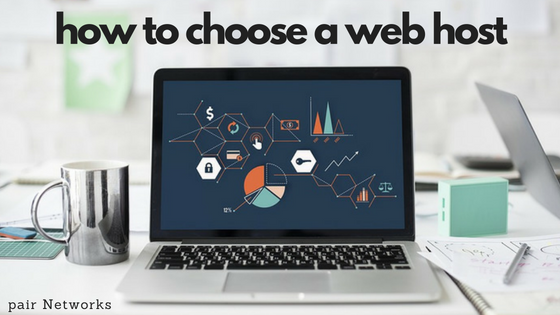 Quiz: Which Type of Web Hosting Is Right for You? 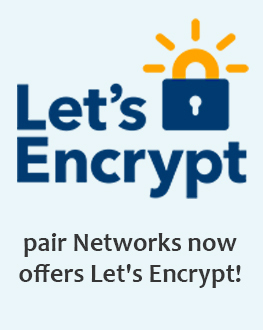 Copyright © 1995 - 2017 pair Networks, Inc.